Book a Pilot vacation package on Expedia right now! This is by far one of the easiest ways of saving time and cash for your incredible getaway. Our impressive database allows you to research more than 321,000 properties worldwide and 400 partner airlines. With such a broad range of options, designing your dream vacation will be a breeze! About to head off on your Pilot vacation? Not sure what things to include in your travel program? Don't worry — we're here to give you some hints. Jacksonville Center puts on various events and performances across the year. Browse the events list for your next activity. Visitors have a great range of options nearby. Encounter exciting ideas and impressive artwork at Old Church Gallery. It presents a rotating schedule of exhibits that are sure to interest art lovers. Still got some time on your hands? Abandon your history books! Let the past spring to life at Floyd County Historical Society Museum. If you're seeking luxury getaways or cheap vacations in Pilot, it's recommended you book a place to stay in advance. There are only 7 Expedia properties currently available. 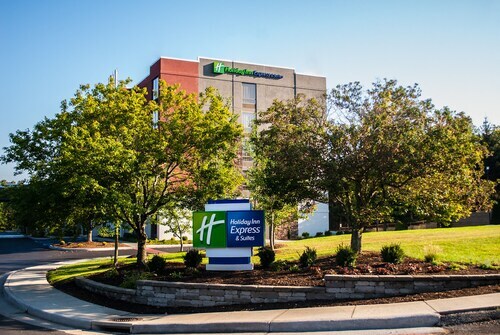 The Homewood Suites By Hilton Christiansburg (2657 Roanoke St) and the Holiday Inn Express Hotel & Suites Christiansburg (2725 Roanoke St) are popular with travelers. Nothing's more satisfying than finally touching down at Roanoke Regional Airport (ROA) after a long flight. Once you've retrieved your suitcases and stretched out those stiff limbs, you'll find yourself about 25 miles (40 km) from the heart of Pilot. Located in the heart of Blacksburg, this hotel is 0.6 mi (0.9 km) from Museum of Geosciences and 1.5 mi (2.4 km) from Virginia Tech University. Lyric Theatre and Historic Smithfield Plantation are also within 2 mi (3 km). 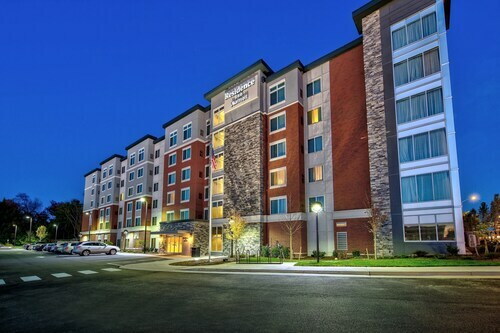 Located in the heart of Christiansburg, this hotel is 2.6 mi (4.3 km) from Christiansburg Aquatic Center and within 6 mi (10 km) of Virginia Tech University and Cassell Coliseum. 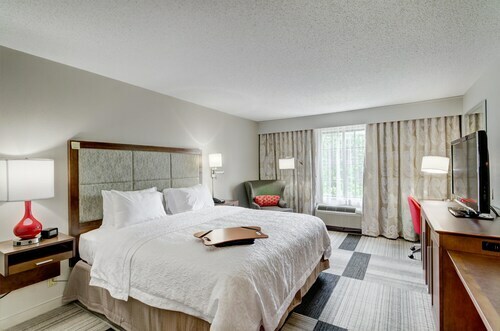 Situated in a rural location, this hotel is within 2 mi (3 km) of Lyric Theatre, Cassell Coliseum, and Lane Stadium. Virginia Tech University and Christiansburg Aquatic Center are also within 9 mi (15 km). 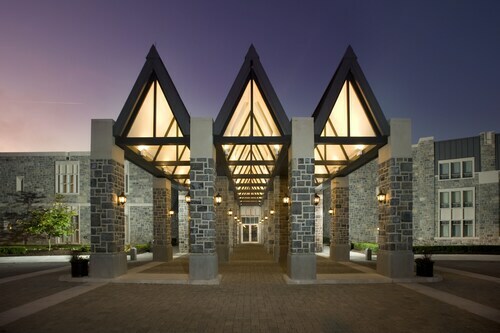 Situated in Blacksburg, this hotel is 1.4 mi (2.2 km) from Museum of Geosciences and 2 mi (3.2 km) from Virginia Tech University. Historic Smithfield Plantation and Lyric Theatre are also within 3 mi (5 km). Located in the heart of Blacksburg, this hotel is 0.5 mi (0.7 km) from Museum of Geosciences and 1.4 mi (2.2 km) from Virginia Tech University. Lyric Theatre and Historic Smithfield Plantation are also within 1 mi (2 km). 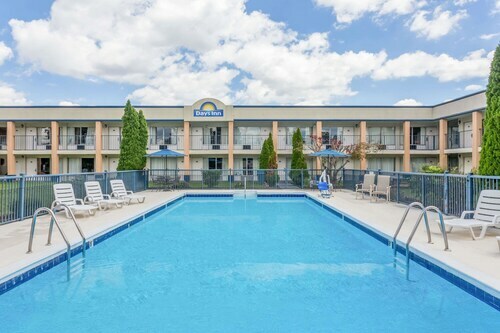 Set in Christiansburg, this family-friendly hotel is within 12 mi (20 km) of Christiansburg Aquatic Center, Virginia Tech University, and Lyric Theatre. Museum of Geosciences and Historic Smithfield Plantation are also within 12 mi (20 km). Situated in Salem, this hotel is within 6 mi (10 km) of Moyers Sports Complex, Salem Civic Center, and Salem Memorial Football Stadium. Haley Toyota Field at Salem Memorial Ballpark and Dixie Caverns are also within 6 mi (10 km). 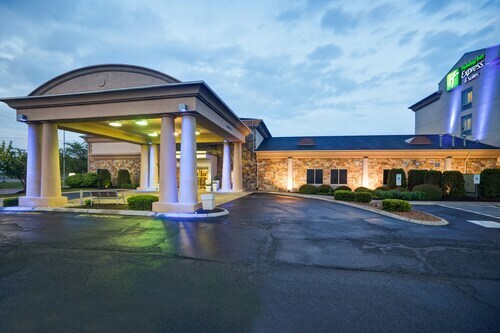 Situated in Christiansburg, this hotel is 6.2 mi (9.9 km) from Christiansburg Aquatic Center and 12.1 mi (19.5 km) from Virginia Tech University. Cassell Coliseum and Lane Stadium are also within 16 mi (25 km).